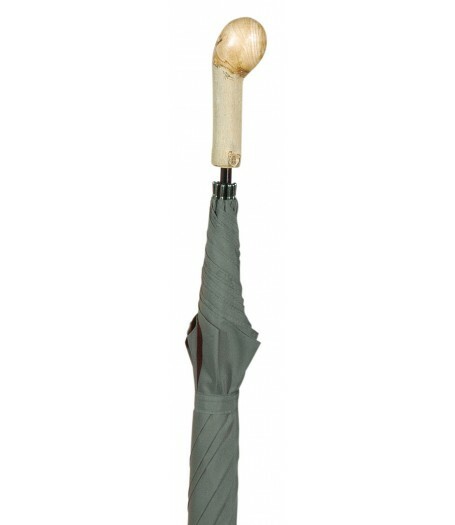 An extremely smart golf umbrella, as at home in town or country as on the golf course. The canopy is the very smart and traditional shade of British racing green. It is fitted with a handsome ash knob handle, and was grown and manufactured in the woodlands of Classic Canes, in Somerset, England. Overall height 107cm.